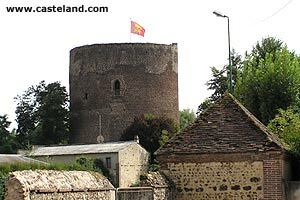 Located at the borders of the department of the Eure, the castle of Verneuil-on-Avre is attested since XIe century. It formed with Tillières-on-Avre and Nonancourt a defensive curtain against the possible incursions in Normandy of the counts de Chartres. Philippe Auguste built there after 1204 one of his famous circular towers.